I used the adorable set and papers included in Studio Calico's sugar rush card kit. That is some delicate paper-piecing, folks. Teeny tiny shirts. I kept the card so very simple. There's a Seuss-ian feel to them, don't you think? So the card is simple and graphic, and in keeping with story-book vibe that they give off. If you haven't already, visit *this post* to see how you can win the current Studio Calico card kit & the add-on kit too. This is my second post of the day. I'd love it if you checked out my valentine's cookie packaging - click! We've got a little treat for you today! 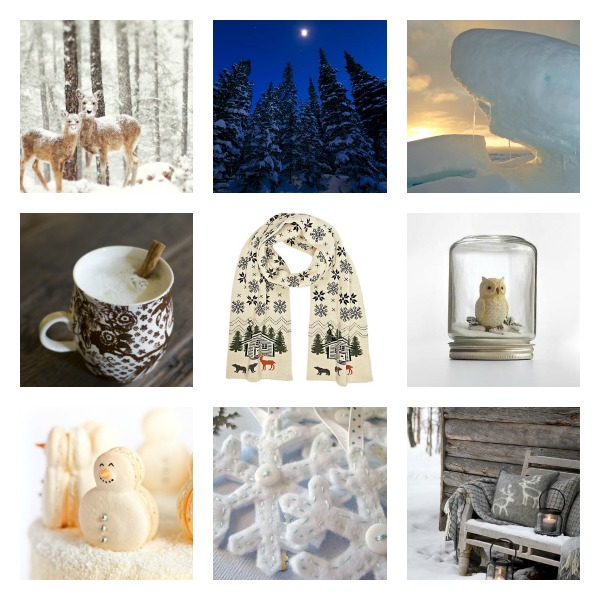 Mama Elephant has partnered with our awesome friends at Studio Calico again this month. ME has designed the exclusive set in the Taffy card add-on kit. Click *here* to check it out. 2. Like Mama Elephant on facebook and be sure to hoot and holla over there too. The winner will be chosen and announced on Friday. Isn't he adorable? He's wearing a party hat from the new set, and sitting on a scallop-framed sentiment that I just love. I hope you like it! Now, get to hoppin'! I can't believe it's already the last Wednesday in January. Apart from the regular "where does the time go," it means that this is the last time I guest design with the Simon Says Stamp Wednesday Challenge. It has been a thrill! As soon as Marlyn (of Montreal Confections) showed me this panda cookie, it was a no-brainer. I would ink up ME's pandamonium stamp set, and have a match made in crafty heaven. The packaging was so fun to create. I started out with a clear box (meant to package card sets!) and cut a piece of blue cardstock to fit inside. You can see, in the side-view photo, how the blue paper was scored to curl around the inside of the box. I used ME's landscape trio dies to adhere the clouds and the grassy panels to the front of the box, on the outside. Inside the box, The panda is nestled into paper scraps. They do the job of filling the empty space and keeping him secure inside the packaging. My friend Marlyn created a video tutorial on how to create this panda cookie. Even if you aren't a cookie decorator, click on the link - it's amazing to see her at work! Simon Says Stamp is giving away a 50$ voucher for this week's challenge. I hope you join in! My good friend and sugar cookie artist extraordinaire, Marlyn (of Montreal Confections) created videos all this week featuring valentine cookie ideas. We chatted last week, and she came bearing gifts: all of the cookies she created for these videos. In upcoming posts (all before valentine's day), I'll take what she does best, and do with them what I do best - pretty them up with paper. I created a custom box for the treats. The tag was stamped with lawn fawn's critters at the dog park, and the base in their woodgrain pattern. Two dog-bone treats fit beautifully inside. Have you had to turn over a lot of mis-matches before finding your valentine? It's time for another Simon Says Stamp wednesday challenge, and this one is all about making your card recipient smile. For fun, adhere some of the squares flat onto the card base and pop a few up with dimensional squares. Can you think of anything else? I hope you like my card, and decide to play along! As usual, Simon Says Stamp is giving away a 50$ voucher to their store. 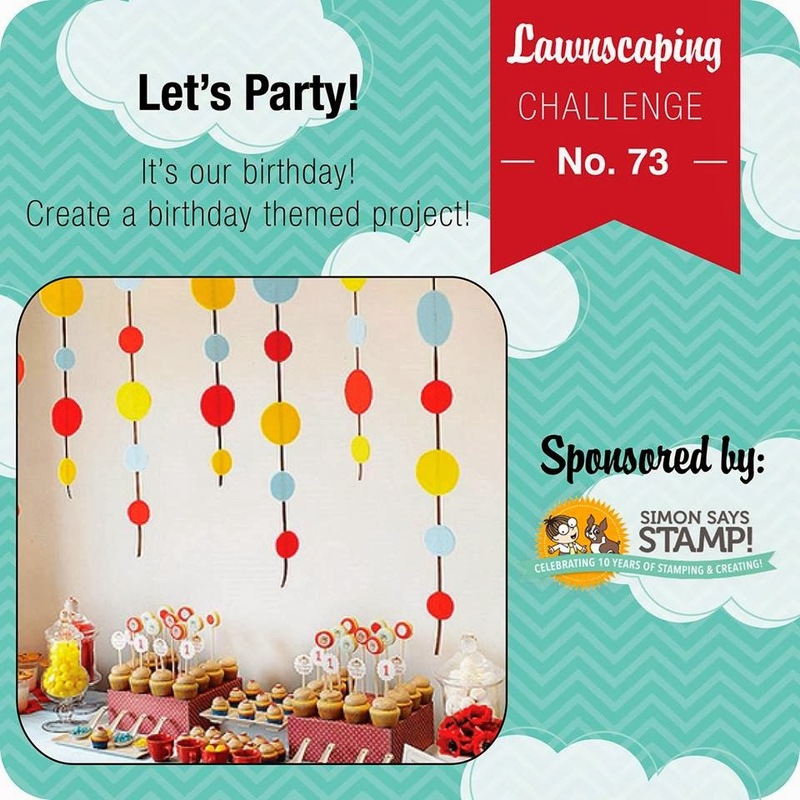 Monday morning, and time for another lawnscaping challenge! 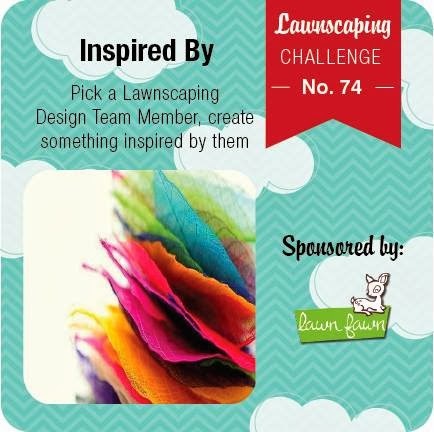 This one's fun: pick a lawnscaping design team member and create something inspired by that gal. Her set had me reaching for the new lawn fawn set, starry backdrops. It goes on sale later on in February, but I couldn't resist playing around with it n-o-w. It has the same sentiment that Audrey featured on her project ("you color my world") but when I started created, my project organically went a different way. I stamped two mini rainbows, paired it with lawn fawn's new rainbow-striped paper, and used Milo's abcs to spell out the top half of my custom sentiment. I used a white gel pen to chicken scratch the rest. I felt like the card needed some purple. Rainbows with no purple? sad stuff. A quick wash of color onto a wood veneer heart righted everything. I hope you like it, and I can't wait to see who inspires you! Play along and you could win a prize by lawn fawn! With all of the new sets and papers going on sale in about a month, this prize is extra special. I'm still guesting with the Simon Says Stamp Wednesday Challenge blog, all January-long. We're using embossing folders, but emboss it any which way you like: paste, dry, heat - go wild. The only embossing folders I own are from my days as a Stampin' Up demo, hee hee. I haven't reached for one in awhile. I used two different folders: one for the striped background and one for the frame around the penguins. Once embossed, I painted the raised stripes with barn door distress paint. It's a bright red paint, but my application was so light that it looks more pink. I finally inked up "love quotes" and they are the most adorable things ever. The sentiment is from another ME set, "hello." The tiny words are perfect for fitting into tight places. Join in the fun, will you? I'm guesting with Top Dog Dies today! I used their doily die and scalloped-top box die to create a lovey-dovey set, perfect for valentine's day. Black & white & red all over, with a sprinkle of gold glitter. Check me out on the Top Dog blog! Whoa. you all know how to make a girl feel welcome. My day yesterday: clean house, play playdoh and grin at all of the amazing comments you left me on the blog and on facebook! Pinks in all kinds of shades, pearls, shimmery silver, florals, bows - there is so much you could pull from this photo. Truly, madly....beyond measure was stamped with enough space in between for the "&" to nestle in between. I framed the card with the amazing femme frames dies. They add instant polish, friends. I had initially created this card as a flat panel, stood back, stared at it, and decided it was boring. When I cropped it using the rectangle die, it was better. Layered onto the scalloped rectangle? Perfect. I hope decide to play along! 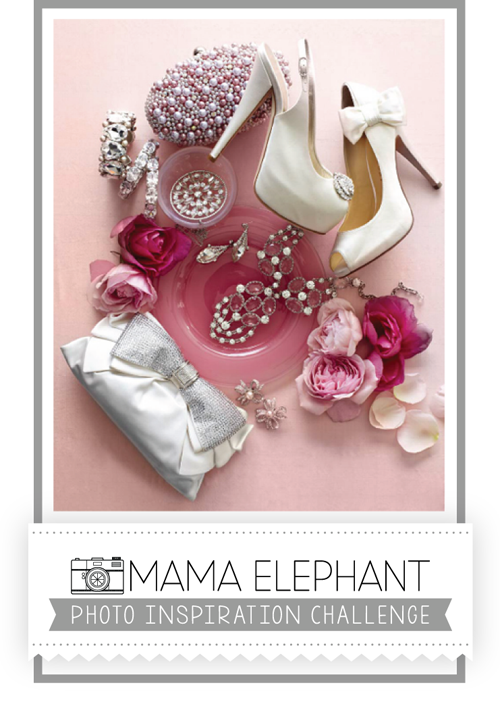 You have all the way until February 7th to ink up some Mama Elephant stamps and be inspired by our photo. Check out all of the details on the ME blog - click. 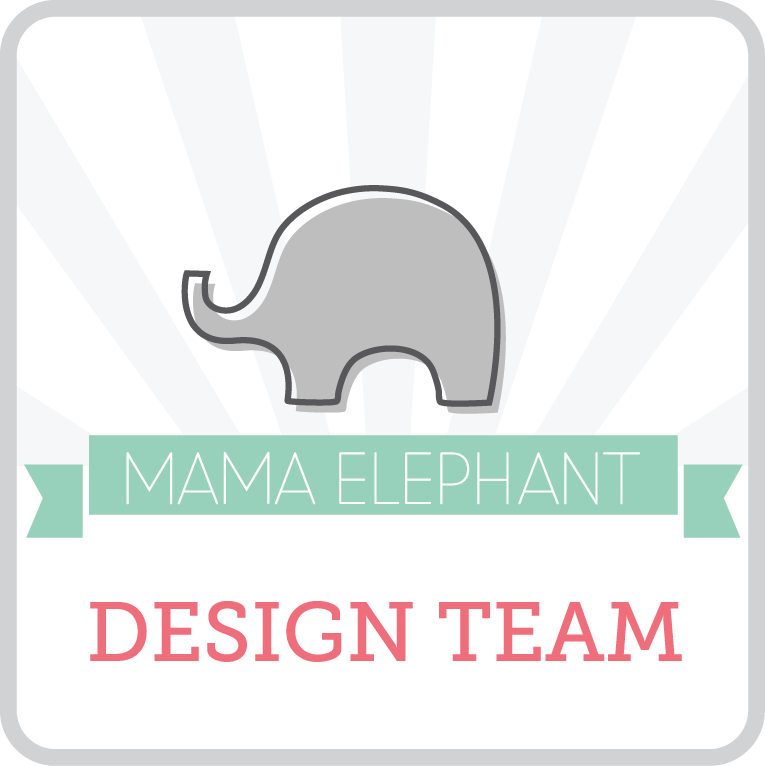 Mama Elephant produces such cute and fresh designs - month after month, I found myself spending a good part of my (meager!) crafting budget on their stamps. They are such a joy to work with, and I'm on pins and needles waiting for next month's stamps to arrive on my doorstep. Hi! It's time for another Simon Says Stamp Wednesday Challenge. I have to admit, I always find it funny to stamp snowmen after christmas (hee). I'm ready to move on to valentine's day and warmer-weathered themes, even though we're all icy and counting snowflakes for another few months in Montreal. It's brutal. What do you think? Recognize him? The snowman stamp (on the left) has a face. I inked it up, but used a baby wipe to carefully rid him of his features. Then, using a pencil, I sketched a new face, longer twiggy arms, and a top hat that works with his up-turned gaze. Once I was satisfied with the sketch, I used a copic multiliner pen to trace my work and I erased the pencil lines. When all was colored and done, I masked all of the elements to be able to sponge some light grey ink all around. I then stamped some snow in an aqua ink, and accented a few flakes using a two-way glue pen and some distress glitter. A strip of glitter tape at the bottom was to make sure I was challenge-worthy, ha ha. So, stay cool! and don't be afraid to try new things and experiment with your stamped images. Join us for the challenge! As always, SSS will be giving away a 50$ voucher to their store. Season's Givings winner + a new lawnscaping challenge! Ngan, congrats! Please email your address to: mom2sofia(at)gmail(dot)com to claim your prize. I found the acetate-starry paper at our local scrapbook store and new it would look awesome over some leftover Christmas stripes. I spelled out "super" using quinn's capitals, and borrowed the fireworks from happy 4th. The costumed owl isn't just for halloween. Even though I masked the big letters to stamp the fireworks in behind, I fussy-cut the owl and popped him on top. All masked and no texture equals no fun <--- my new motto. I hope you decide to join us for this challenge! Anything birthday-related is fair game: cards, tags, cupcake toppers - go nuts.